These are all familiar quotes to us. We hear them in music, in movies, and see them on cheesy prints they sell at gift stores. One challenges us to change ourselves for the good of the world, while the other embraces comfort in not changing at all. Often people assume they can change the world by giving in to who they feel they are. This means embracing all faults and making them excusable by thinking that removing those faults would be dishonest to who they are. For example, I really struggle reaching out to people. I am shy about meeting new people, and often I make excuses for myself because I am too afraid to get out of my comfort zone. I found out there is another new mom not far from me and I was so afraid to reach out to her. I made excuses like “she’s a bit older than me”, “she won’t like me” , “she is a stranger”, and “I’m too shy”. I convinced myself it was okay to just keep to myself because of my introverted nature. It took several weeks for me to just send her an e-mail. Fear to change is also an excuse. It seems more apparent that people would rather change their surroundings than change who they are internally. We may challenge ourselves to do good deeds, which in turn can make an impact on ourselves, but it is only temporary if it isn’t pursued and ultimately will yield little or no fruit if we do not continue to change ourselves. We may need to reflect on the little things we do and ask ourselves some hard questions. Am I humble? Am I modest in dress? Do I love selflessly? Do I always expect something in return when I do something kind for someone else? Do I really put God first? The change we embrace must not be solely fuelled by the desire for what we wish to see happen in the word nor in what the world wants from us. Instead, any change we make must be rooted in Christ, who is truth and love. It is only by Him that we can be made perfect. This conversion is about seeking holiness rather than temporary happiness. Christianity calls us to change the world by changing ourselves daily by picking up our cross and conforming out lives to Christ. It means turning away from sins that we may have allowed to become habits in our daily lives. It requires repentance. A murderer can become a capuchin, but it requires a change of heart through conversion, not just once, but daily. As the Christmas season draws near, let us prepare our hearts for the celebration of the Incarnation. Let us change our ways and continue to pursue a real relationship with Christ, one that requires us to change and to grow. Let us change into the people of God, not of the world. Being a Christian can feel lonely at times. In today’s culture you may feel ostracized by the world that just wants you to keep your mouth shut and your beliefs to yourself. Also at times, you may feel a sort of spiritual loneliness; where like David in the Psalms, you feel like God is hiding His face from you. Being a Christian is not always a walk in the park. I have personally found that one of the most painful feelings for me is wanting to share the joy I have found in Christ, but even among those closest to me, they simply do not want to hear about it. Sometimes I desperately want to be open about that part of myself with those I love who are not Catholic, but I know it will be met with silence, sarcasm, or anger. Though I still speak up in defence of the truth, I have also had to find different ways of showing that faith without words to my family and friends who do not believe or are against listening to anything that leans towards objective truth. In our present culture, where “hate” has become the new catchphrase for anyone who stands up for objective moral truth, it is almost comical to see how much hatred the world has for authentic Christianity. 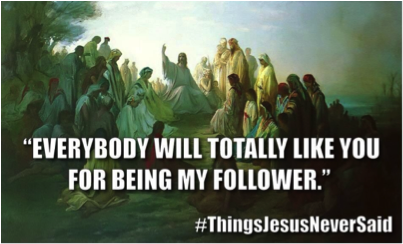 Jesus warned us of the hate we would experience for loving and following Him, but He also reminds us that the world hated Him first. The struggle can be difficult at times, yet, we know that there is victory in the struggles that we endure as Christians. The feeling of loneliness we can encounter can become redemptive. We can come to encounter Christ more deeply by offering our suffering to Him and with Him. Saint Teresa of Avila said, “Suffering is a great favor. Remember that everything soon comes to an end… and take courage. Think of how our gain is eternal.” We must take these words to heart and remember that the lives we live here are temporary. It is of great importance to pray for the gifts of charity, humility, and patience. Charity is one of the hardest things to practice toward someone who speaks ill of you. It can be equally as hard to remain charitable when Christ or His Church is attacked. It can be much easier to get angry than to take a breath, pray for a moment, and speak respectfully to that person. Keep in mind our Blessed Lord before Pontius Pilate. He simply spoke the truth in peace. It can be difficult to love the people who attack us, whether it be in the online sphere or among our families, friends, co-workers, etc. It is of paramount importance that we continue to love those who hurt us. This doesn’t mean that you have to be best friends, or even get along. It may even mean ending the relationship. But, we must be willing to reach out and serve them. We must remember that they deserve love and respect, even when they don’t give these things to us. Jesus loves the person who attacks us and desires for them to be united with Him for all eternity. Our job is to show that by our deeds, and then our words. I remember years ago feeling very alone and wishing that I wasn’t. I was so caught up in myself that I forgot that I was never alone. I failed so many times to enter into prayer, to recall the saints, or to seek out authentic community. In hindsight, I wish I had been able to remember those painful hours Jesus wept in the garden. I forgot that on the cross, Jesus cried out, “my God, my God, why have you abandoned me?” Now, I understand that I can take consolation in the fact that not only can I offer my struggles, loneliness, and sufferings to Jesus, but that I can unite them with His suffering for the salvation of souls. Pray for those that persecute you. Pray that their hearts may not be hardened. Pray that they may recognize the love in you as God’s love for them. Pray for them if they abandon you, or if you have to leave that relationship for reasons beyond your control. Leave it all in the hands of the Father. He will take care of His children. Scandals these days are a dime a dozen it seems. In the world and in the so-called “faithful” of the Church, we need not look to far out our front door to see that there is a lot of darkness out there. All we need to do is take a gander into our own hearts and we can see just how dark things can be. It can be greatly discouraging. For those weak in faith to see the scandals within the Church can cause them to give up on the Christian life altogether. Although there needs to be people within the Church pointing out where the darkness is within Her members, it can seem that there are not a lot of great examples of holiness today. Even though we have great things like the lives of the Saints and have access to millions of books on these incredible Catholics of the past, we need authentic witnesses today. Two weeks ago, I saw a beautifully authentic example of this in one of the Franciscan Friars of the Immaculate, and felt that it needed to be pointed out. 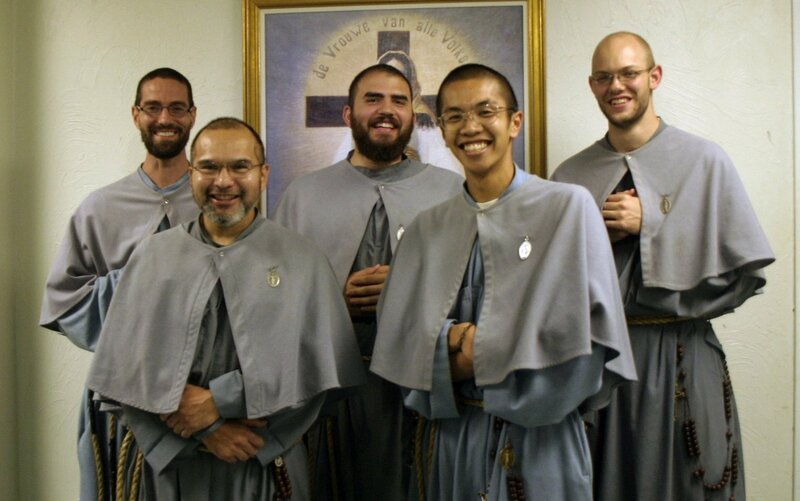 If you are not familiar with the Franciscan Friars of the Immaculate (FFI), they are a beautiful religious order founded by Fr. Stefano Maria Manelli and Fr. Gabriel Maria Pellettieri, two Franciscan Friars. According to their website they, “like the Seraphic Father St. Francis…strive to be perfectly conformed to the poor, humble, crucified Jesus through a life of charity, supernatural charity and poverty. They are totally consecrated to the Immaculate Virgin after the recent example offered by St. Maximilian Mary Kolbe.” Sadly, in recent years, the FFI received a crushing blow. The Institute, which was one of the fastest growing in the world, was brought to task by the Vatican “to restore among the Franciscans of the Immaculate the original charism that has characterized the service the Institute has rendered to the Church.” Fr. Fidenzio Volpi was assigned by the Congregation for Religious as Apostolic Commissioner to basically bring the order into line. Now a lot of what is being said online leans strongly in the favour of Fr. Volpi being tasked with ending the order itself. I cannot seem to get a clear statement as to the entire purpose of handing the Order over to Fr. Volpi. The situation, however, turned nasty. The community was made to no longer offer the Mass of the Extraordinary Form, unless given express permission. The founder was also removed from leadership. The subordinates of the Founder were transferred to different countries. He shut down their seminary. He suspended ordinations within the Order. For a year he suppressed the activities of the Lay Apostolates affiliated with the Institute. He also suspended the publications of the Academy of the Immaculate, which produced beautiful catholic literature. There are certainly differing things being said online about how Fr. Volpi handled the Institute. There are people who say that Fr. Volpi slandered and defamed the founder, Fr. Manelli and his family. At any rate, Fr. Volpi truly in the eyes of outsiders, became the “thorn in the side” of this little institute, who though faithful to the Church’s Tradition, are not extremists by any means. Whether all the statements about Fr. Volpi are true or not, they have been treated (and still are, please pray for them) very badly by many members of the clergy and laity, and endure much slander and calumny. I share this because in the midst of all of the craziness at the hands of the Apostolic Commissioner, the Friars and Sisters of the Institute have simply kept their mouths shut and remained obedient. It smells of the sanctity of another Franciscan friar who was placed in solitary confinement for over ten years, the great St. Pio of Pietrelcina (Padre Pio). Yet, with all of this in mind, these kind Franciscans not only remain obedient, but they also remain completely humble. This is what inspired me two weeks ago. It was announced that Fr. Volpi died on June 7, 2015 (God rest his soul). The response to this from the FFI floored me again. 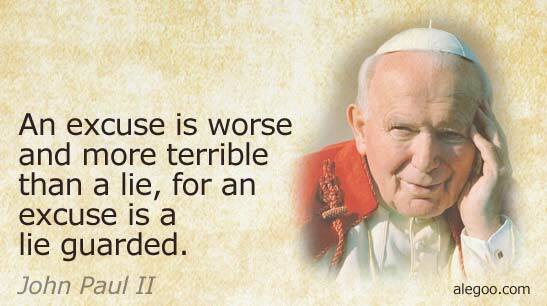 Shortly after his death, Fr. Elias M. Mills offered a Requiem Mass for him. In the description of the video, it states that the Mass was done in “gratitude that the Franciscans of the Immaculate have for the faithful and beautiful service of Fr. Fidenzio Volpi to our community and an additional gesture of unbounded gratitude to His Holiness Pope Francis for appointing such a wonderful priest to guide and govern our Institute. May God grant Fr. Fidenzio a speedy entry into eternal rest and unending peace. 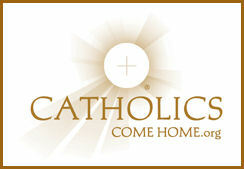 Ave Maria!” I encourage you to watch the four minute video of the homily given at the Mass by Fr. Mills. For a community to speak in such kind and generous terms about a man who had done much to effectively destroy the Institute that they loved (though they may not openly admit it), is certainly a beautiful thing and an incredible example of christian charity. Loving your enemies is a true sign of a Christian, and these Franciscans knew how to best love Fr. Volpi, by offering the one thing in the world that matters most – the Holy Sacrifice of the Mass. God bless the Franciscan Friars of the Immaculate. May we too learn how to speak well of those who have hurt us, and love them with the love that only Jesus Himself can give. For every one who does evil hates the light, and does not come to the light, lest his deeds should be exposed. But he who does what is true comes to the light, that it may be clearly seen that his deeds have been wrought in God.